Green Coffee Bean Extract 800mg is naturally formulated to be a major source of chlorogenic acid. ** These acids are thought to support an energized metabolism. ** Green Coffee Bean Extract 800mg contains 45% chlorogenic acids for 360mg per serving. Other Ingredients: Gelatin, Dicalcium Phosphate, Vegetable Magnesium Stearate, Vegetable Cellulose. This product contains 80 mg - 112 mg of naturally occurring caffeine per capsule. Warning: Not intended for use by pregnant or nursing women. If you are taking any medications or have any medical condition, consult your doctor before use. Discontinue use and consult your doctor if any adverse reactions occur. Not intended for use by persons under the age of 18 or for those sensitive to caffeine. This product contains caffeine. Avoid additional consumption of caffeine, which may cause adverse effects. Keep out of reach of children. Store at room temperature. Do not use if seal under cap is broken or missing. Green Coffee Bean Extract 800mg is rated 3.6 out of 5 by 5. Rated 5 out of 5 by mar1026 from THe Best!!! 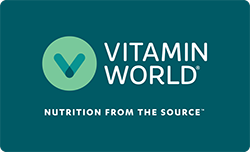 Since Vitamin World has been sold out of this product, I tried other brands with disappointing results!!! Hopefully it will be back in stock soon.. Rated 1 out of 5 by Anonymous from Not happy. I don't see any results. This pills it's not work. I'm not recommending.